For the Philadelphia Phillies, there were a handful of franchise-altering moments during a 2015 season that saw the club finish with the worst record in baseball for the first time in nearly two decades. Some of those moments led to a complete change in direction at the highest levels of the franchise. Some led to changes in management at the field level. Still others turned the page on the team’s recent championship past. The end of any calendar year is always an opportunity for us to look back and examine the road down which we travelled for these last 12 months. For a ball club, that road is filled with twists and turns. Injuries, trades, free agent signings, management changes, on-field results. Much of what we think we know every January about the Phillies turns out to be way off by the time all is said and done. But that really wasn’t the case in 2015. Entering the year, everyone knew that it would be a season of change. It was simply a question of who, where, and when. It is my opinion that the following five developments were the most influential on the Phillies franchise. All of them happened during or immediately following the 2015 season. All of them have major ramifications for the team’s future. Just how influential each will end up is something that may take years to evaluate. 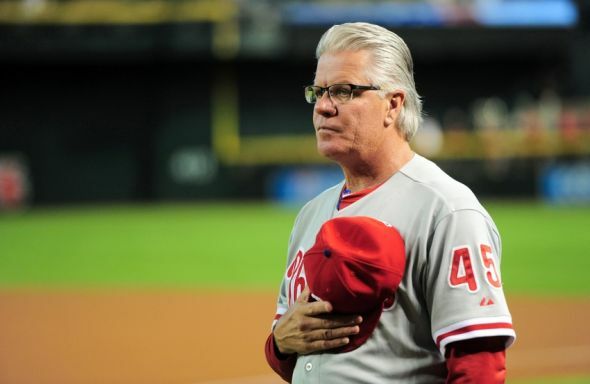 Let's take a closer look at each of these pivotal events for the Philadelphia Phillies. The Phils are scheduled to take the field for a 4:10pm game at Great American Ball Park on Monday, April 4th against the host Cincinnati Reds. 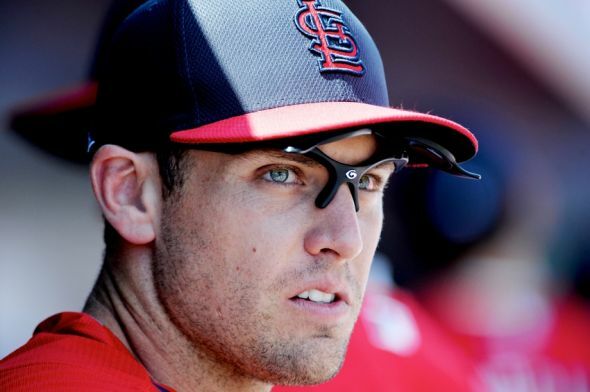 The likelihood is that Cincy will be starting one of two righthanders, either Anthony DeSclafani or Raisel Iglesias. In making his decisions, manager Pete Mackanin would be going with the percentages in using his lefty bats to start against the righty pitcher. That gives Howard the start at 1st, is the reasoning behind giving Asche a start in left, and pushes Hernandez to 2nd in the order, where as a switch-hitter he brings yet another left-handed hitting option. The lineup above also gives the nod as the starting catcher to Rupp. That is by no means a given, though he will indeed enter spring training penciled into that role based on his 2015 performance. 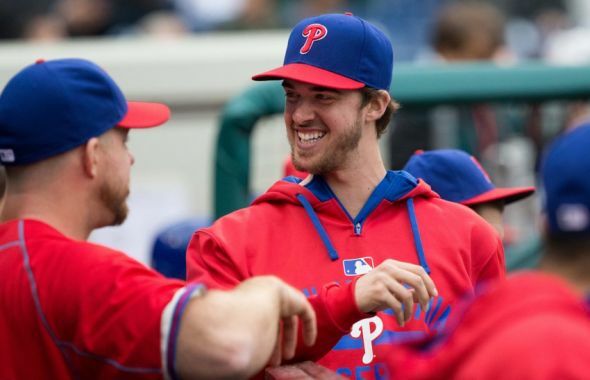 It was just five months ago that Aaron Nola made his big league debut on July 21st. On that day at Citizens Bank Park, Nola shut down the Tampa Bay Rays, allowing just five hits and one run while striking out a half-dozen Rays’ batters over six innings. That was the first of thirteen starts Nola would make in his rookie season. He was shut down a week early, following a shutout of Washington at Nationals Park over five innings. All in all, Nola finished the season with a 6-2 record, 3.59 ERA, and a 1.197 WHIP. He allowed 74 hits in 77.2 innings, with a 68/19 K:BB ratio. The player who had been the Phillies 1st round MLB Amateur Draft choice just a year earlier had shown that he belonged and could be counted on in a big league rotation. With every prognosticator of such things already predicting that Nola would ultimately settle into the middle of a contending big league rotation, it might appear that all the 22-year old needs to do in the coming 2016 season is stay healthy, and keep on keepin’ on. 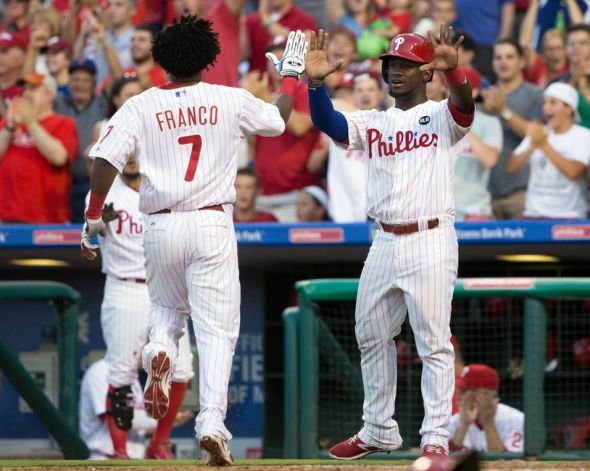 During September of 2014, Maikel Franco made his debut in Major League Baseball. It was an inauspicious beginning with the Phillies, as Franco hit for just a .179/.190/..214 slash line in 58 plate appearances across 16 games. Still, the Phils top prospect had gotten his feet wet, and would surely benefit the next time he got the call. That call came a little more than seven months ago, on May 15th. Just two days later, Franco launched his first big league home run off Randall Delgado in a 6-0 Phillies victory over the Arizona Diamondbacks at Citizens Bank Park. 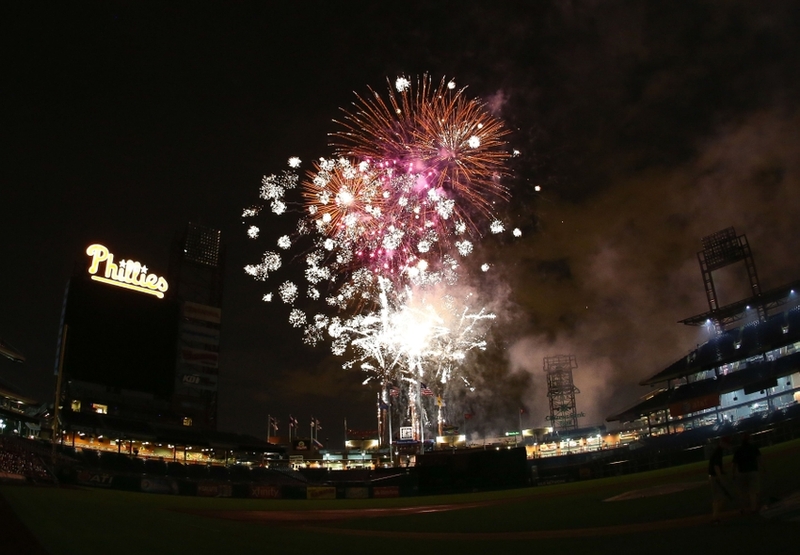 Phillies Christmas 2015: Naughty or Nice? While the 2015 Philadelphia Phillies team saw a bunch of players make Santa’s “Naughty” list, some actually made his “Nice” list for Christmas. When a team finishes with the worst overall record in Major League Baseball, it’s easy to see why so many will be receiving a lump of coal in their Christmas stockings from the right jolly old elf this year. But for a handful of the team’s players, enough positives were provided, enough thrills given to the loyal fans who stayed with the team through a third successive dismal campaign, that they earned their Christmas gifts. Not every player made it to either list. In fact, most of the players had performances or roles that were so inconsequential that they will be receiving neither coal nor great presents. Maybe the man in the red suit will leave them a little something as a future incentive. So who specifically found themselves relegated to this year’s “Naughty” list, and who made that “Nice” list? Well, I just happen to have contacts at the North Pole who provided this year’s list, faxing it down to me this afternoon. I promised that I would not reveal the entire list. 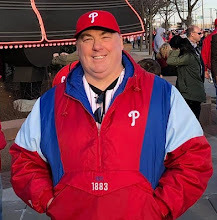 But I was given permission to reveal the status of a half-dozen key members of the 2015 Philadelphia Phillies ball club. So here are those six members of the team, and on which list their name appears. NEXT: Phillies Santa List: Naughty or Nice? The Philadelphia Phillies organization appears content to sacrifice another season of “tanking”, losing in the short-term, in hopes of longer term success. Some around Major League Baseball have characterized their approach in just that manner, as intentional “tanking”, similar to the approach being utilized for years now, without much success to this point, by the local Philadelphia 76ers franchise in the NBA. There is a school of thought that, if you are a professional organization in the top competitive league in the business, that you should be doing everything possible to win every year. Anything short of that type of organizational commitment is, to those people, considered tanking, or intentionally putting an inferior product on to the field. In an ESPN Insider blog posting today titled “Yes, Virginia, There is Tanking in Baseball“, Buster Olney built on an idea that he posited in his posting for the same blog on Monday. Olney believes that intentional tanking of seasons by multiple MLB teams will be one of the top story lines in the game for the 2016 campaign. While the Philadelphia Phillies have brought in a number of new players for 2016, the club has also lost a few from the organization. Aside from the obvious loss of closer Ken Giles in the big trade for five young pitchers, there are a number of other players who contributed significantly to the 2015 big league club, to other recent Phillies teams, or who were long time minor league prospects, who will not return to the organization next year. 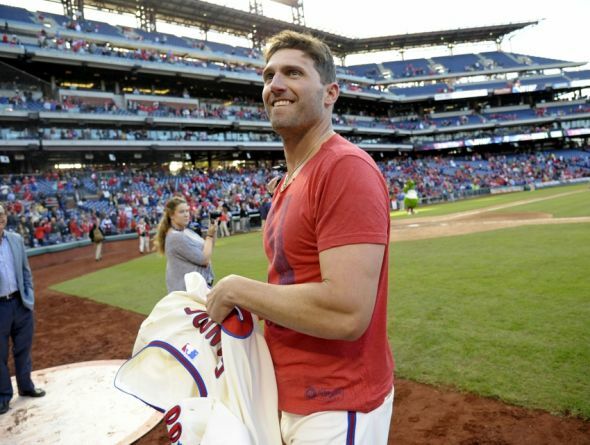 The biggest name is also the one that was most obviously not returning, former lefty ace Cliff Lee, who has unsuccessfully battled injuries over the last two seasons. The now 37-year old Lee is a free agent, and has been linked to a number of teams including the Baltimore Orioles, New York Yankees, Texas Rangers, Cleveland Indians, and Kansas City Royals. Lee is most likely to catch on with a contending team on a non-guaranteed contract with a spring training invitation, assuming he can play at all. Three starting pitchers who took the mound for the Phillies in 2015 will also not be returning. From his very first moment in front of Phillies scouts as a teenage ballplayer in California right through the current day, Bowa has been a fiery, emotional, heart-on-his sleeve, hard-working, straight-talking, blue-collar player and coach, the type that Philly fans have always embraced. His father, Paul Bowa, had been a minor leaguer in the Saint Louis Cardinals system during the 1940’s, and a player-manager in that Cards’ system in both 1946 and 1947. Much as his future son, and in contrast to a grandson who would also reach the big leagues, Nick Johnson, Paul was a speedy, slick-fielding infielder. In the off-season prior to his father’s debut as a manager, on December 6th, 1945 in Sacramento, California, Larry was born. By the early 1960’s, the scrawny Bowa was trying out for the team at McClatchy High School in Sacramento. He would never make the team in the entirety of his high school days. “It was very disappointing. The reason they gave me was not because I wasn’t good enough but because I was too small,” Bowa told saccityexpress.com early this month. A little more than a week ago, in the wake of his signing of free agent outfielder Peter Bourjos, new Phillies general manager Matt Klentak was still keeping open the possibility that the club could return the popular ‘Frenchy’ for the 2016 season. Perhaps the simple signing of Bourjos didn’t alone take the Phillies out on Francoeur. But just yesterday, Klentak selected outfielder Tyler Goeddel with the first overall pick in the Rule 5 Draft. If the Phils want to keep Goeddel, it will have to be with a spot on the big league roster for the entire season, unless they work out a deal with his former team, the Tampa Bay Rays. With Bourjos and Goeddel added to a returning group that already includes incumbent starters Odubel Herrera and Aaron Altherr, as well as depth players Cody Asche, Darin Ruf, and Darnell Sweeney, all who can swing between the infield and outfield at various spots, there just doesn’t seem to be room for the 32-year old Francoeur. With the trade of Ken Giles to Houston, the Philadelphia Phillies have a few options for the 2016 closer role. Giles was always considered the heir apparent to Jonathan Papelbon, took over that role when the veteran was dealt to the Washington Nationals at the trade deadline this past season, and succeeded as most evaluators believed he would. In fact, Giles was so impressive as both a setup man and in the closer role that he became easily the team’s most valuable remaining trade piece following the deals involving Papelbon and ace Cole Hamels. Now that he is gone, the closer role would appear to be wide open. While that is likely to remain the case when the club reports to Clearwater for spring training, there is a clear frontrunner to fill the role. Yesterday, on the same day that Giles talks were heating up and the deal being finalized, the Phils announced the signing of free agent David Hernandez to a one-year contract. That contract reportedly included incentives based on games finished. So it would appear that GM Matt Klentak was already thinking contingency plans with the Hernandez signing. The Philadelphia Phillies are looking closely at outfielder Tyler Goeddel in preparation for the MLB Rule 5 Draft. 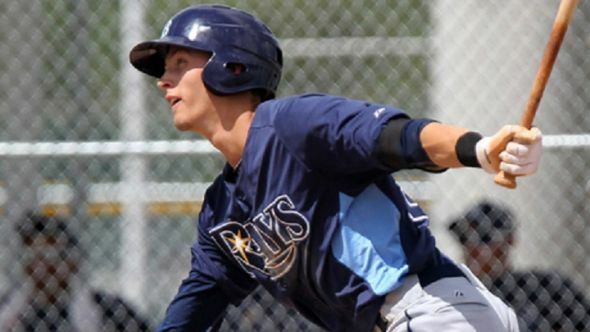 Selected by the Tampa Bay Rays as the 41st overall selection in the 2011 MLB Amateur Draft out of Mountain View High School in Georgia, Goeddel signed as an 18-year old, and thus became a free agent following five minor league seasons after which he was not included on the Rays’ 40-man roster. Goeddel was originally a third baseman, playing the hot corner as he rose through the Tampa minor league system over his first three seasons. The Rays decided to move him to the outfield a year ago. A superb athlete with good speed, a strong arm, and a quick bat, there has been somespeculation that Goeddel was rushed at the outset of his development when the Rays started the teenager at Low-A Bowling Green in 2012, an uncommonly aggressive move by the usually conservative Tampa organization. The Philadelphia Phillies have young closer Ken Giles boiling on the Hot Stove front burner at the baseball Winter Meetings. There are still a number of things that Phillies GM Matt Klentak can accomplish before leaving Nashville in a couple of days. One thing that he will not do is deal away his strong, young closer quickly. At least not without someone meeting the rebuilding Phillies’ reportedly high price. 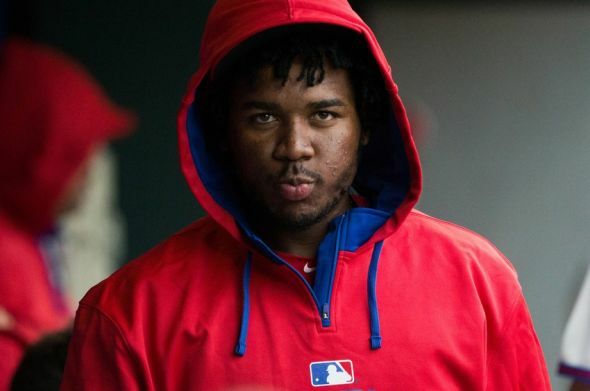 While some fans have wondered why a rebuilding team would want to trade away one of it’s best young players, especially one with a favorable contract situation, the fact is that the Phillies simply cannot dismiss anything that could land them multiple pieces in exchange for one. “We like Ken Giles. We want Ken Giles on our team. 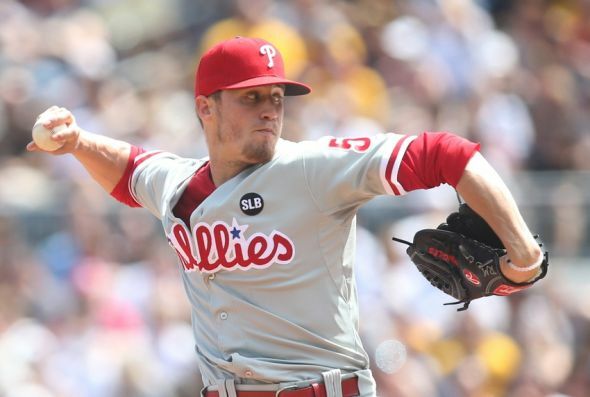 We want more players like Ken Giles,” Klentak said, per Philly.com’s Matt Breen. The Phillies are in a favorable position with Giles where the closer market is concerned as well. The Philadelphia Phillies could move to add a starting pitcher via free agency before leaving the Winter Meetings. With his already stated preference to stockpile arms, and an opening or two in the 2016 starting rotation, who among the remaining free agent starting pitchers might be a fit for the Phillies? One interesting candidate would be Tim Lincecum, the former Cy Young Award winner with the San Francisco Giants who is now recovering from hip surgery. However, it might be a little early for anyone to move on Lincecum, who was expected to hold a January showcase for teams to view his progress. 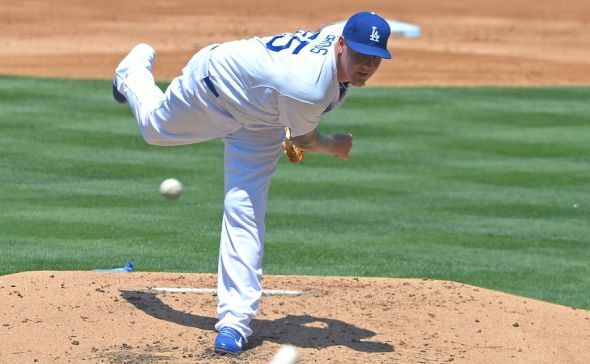 Another very intriguing name is right-hander Mat Latos, who turns 29 years old tomorrow. The former Padres and Reds stud is coming off a disjointed 2015 season split between the Miami Marlins and Los Angeles Dodgers. The Philadelphia Phillies will not be reuniting with former rotation stalwart Cliff Lee. 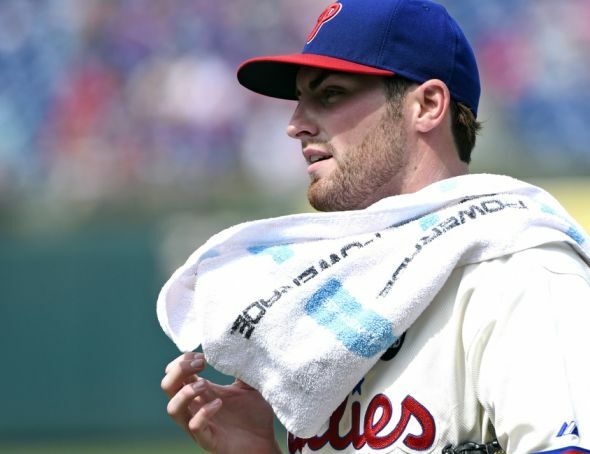 Despite recent pronouncements that he is interested in trying to continue his big league career, the former ace lefty is not going to get that opportunity with a rebuilding Phillies club next spring. CBS Sports baseball insider Jon Heyman has recently reported that Lee’s agent, Darek Braunecker, is seeking a shot with any team that the pitcher feels would be a good fit for him. There are any number of road blocks in the way of Lee ever returning to pitch successfully in Major League Baseball, the most obvious being his ability to compete at the highest level of competition. He has not thrown a pitch in the big leagues since walking off the mound in the third inning at Nationals Park on July 31st, 2014. Cliff Lee has been throwing and he's received medical clearance. If he finds the right fit, he will pitch in 2016. Being given medical clearance by a doctor to make the attempt does not in any way mean that the now 37-year old’s balky elbow will hold up once he actually starts to pitch again. He has already tried this twice, and failed both times. It’s not as if the Phillies are so loaded with talent that they couldn’t use Lee in the rotation to begin the 2016 season, and then as a trade chip later if he somehow proved healthy. The club made the decision that $12.5 million was too much to pay a guy in order to have him show up at spring training for another shot. The Phillies had Lee under contract at $25 million for the 2016 season, but instead wisely used their option to buy him out at a $12.5 million price tag. What Do the Phillies Have in Free Agent Peter Bourjos? The Philadelphia Phillies have signed free agent outfielder Peter Bourjos. Bourjos had been left unprotected by the Saint Louis Cardinals, and Phillies’ GM Matt Klentak had intimate knowledge of the players’ talents and personality from their days with the Los Angeles Angels, with whom Bourjos began his professional career. “…I think very highly of Peter Bourjos the person and that is something that I’ve been talking about since I first started here six weeks ago, which is the importance of building an environment." Bourjos, who will turn 29 years of age at the end of spring training in 2016, was the 10th round selection of the Halos in the 2005 MLB Amateur Draft out of high school at Notre Dame Prep in Scottsdale, Arizona. A speedy baserunner and hustling outfielder, Bourjos stole 141 bases as he rose incrementally through the Angels’ minor league system from 2006-2010, becoming a Baseball America Top 100 Prospect prior to that 2010 season. He finally made his big league debut at the beginning of August in 2010, taking over the Angels’ starting job in center field, a job he would continue to hold in a battle with Mike Trout in 2012. Over parts of four seasons in Los Angeles, Bourjos hit just .251 with a .306 on-base percentage that kept him from being able to fully utilize his speed on the base paths in Major League Baseball. He swiped just 41 total bags in that time with the Angels. During the summer of 2014, I applied for a position on the writing staff here at “That Balls Outta Here“, and was happy to be accepted. Over the next few months, I set aside writing at my own former blog, something that I had been doing for over a decade, and began putting all of my writing efforts into TBOH. Sometime during the month of November, it became apparent that the former editorial staff was going to be leaving, and I was asked if I would be interested in taking over the position as Editor for the site. Flattered as I was, with just a few months on board at that point, I had concerns. The actual writing staff had dwindled to less than a handful. 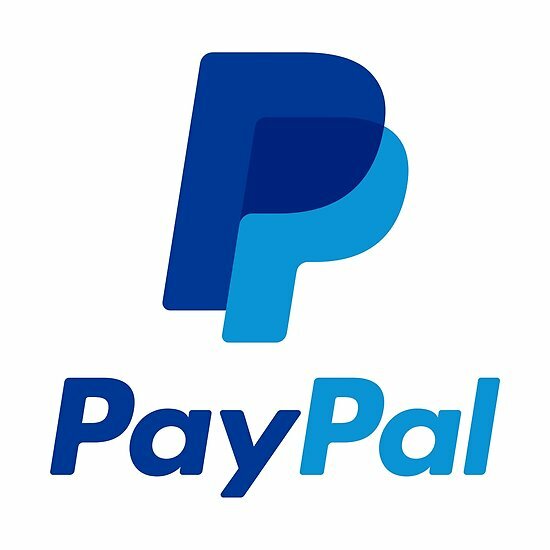 The parent organization, the growing entertainment and sports entity known as “Fansided“, had minimum production requirements that would be a challenge for me when considered along with my home life and my full-time profession. It wasn’t an easy decision, but I accepted. I thought of it as a great challenge, a great experience, and a great opportunity. I would give it my best, and if it turned out that either I couldn’t fulfill the obligations of the position, or if my home or work life were suffering because of it, then I would thank the folks running the show, and move along. What has unfolded over the last year has exceeded my own expectations. While it has been a challenge to meet those minimum obligations each month, I’ve made it work.